The first tournament at the first major tournament series on the 2013 tournament schedule turned out to be a record-breaking affair, as the 2013 PCA $100k Super-High-Roller tournament attracted a field of 47 players, which along with 12 reentries pushed the total prize-pool to nearly $5.8 million. This is the largest field in the short history of the six-figure buy-in tournaments, and it marks the first-time since the 2011 Aussie Millions $250k Super-High-Roller that a tournament outside of the WSOP Main Event and the Big One for One Drop has offered a $2 million first-place prize to the winner. Eight players will make the money in the event, with the top two finishers becoming instant millionaires (although most of the entrants in the tournament are already millionaires), so if you –like me—thought these tournaments were unsustainable I’ll share my plate of crow with you! As you can see, the payouts are very flat for the 8th, 7th, and 6th place finishers, before steadily increasing. The biggest jumps (percentage-wise) occur when you reach the Top 3 spots, which should see the final table participants going for the win, and not simply content with a pay-jump. 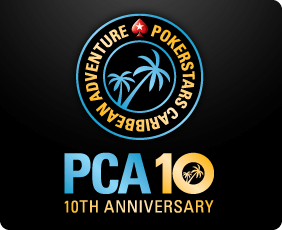 Day 3 will begin with just eight players still in contention, as Antonio Esfandiari was the tournament’s bubble-boy (an elimination that will cost him at least $300,000, as he goes from earning $228k for 8th place to down $100k for being eliminated in 9th place). The players who did make the official final table include some of the best-known and brightest young stars in the game, led by the massive chip-leader David “Doc” Sands, who is now an odds-on-favorite to score his first seven-figure win.